If you’re blogging to build an audience, a guest post for the right blog will likely get you a lot closer to your goal than a dozen of posts on your own site. But how do you write an effective blog post that will actually bring traffic back to YOUR blog and not just provide the other site with great free content? Sure, there are some basic things you need to get right to even get your posts published in places where you can attract a lot of your potential audience. But there is also something you need to consider that many people never think about. And if you forget it, even a “great post” won’t attract people to your site or list. Guest blogging is hyped up to be the best way to get traffic, subscribers, and ultimately grow your business. And really, it can be that. But often people don’t get nearly the promised results. Instead, they think the whole thing is a conspiracy by the big sites to get free content from you. There are some basic things you need to get right to even get your posts published in places where they can attract a lot of your potential audience to your site. But there is also something you need to consider that many people never think about. And if you forget it, even a “great post” won’t attract people to your site or list. Well, that’s not quite enough. Sure, you should aim to write for big sites; it’s not usually worth the effort to write for sites with less than several thousand subscribers. And you should almost never write for sites that don’t work in the same space as you (e.g., technology, travel, health, business, spirituality, or whatever you don’t focus on). 1. First, the audience’s general level of expertise. If you primarily cater to experts, don’t write for sites that attract beginners. Or vice versa. Even if you manage to get the readers to check out your site, they wouldn’t be interested to come back. And though the traffic spike might give you bragging rights, it won’t make a difference in your business. You need visitors to want more from you. 2. Second, the site owner’s style. If your style is as “professional” as the up-tightest banker’s or lawyer’s, maybe you shouldn’t write for a site with a very friendly touch. You might be able to write in a way that interests the readers, but again, their interest in you won’t last long when they see more of your content with your normal style. If you only look at the site’s size and general topic, you might end up spending a lot of time writing posts that don’t make any difference to you. However, just getting in front of a large crowd of the right people isn’t enough either. You need to make them interested enough to read your post. There are two ways to look at this. Both work well. And often they lead you to the same topic in the end. You always start with the audience of the site you’re writing for. Think about why they should pay attention to you. What are their most pressing problems and/or most important goals? What are they hoping to read about on that site specifically? What have been the most popular posts? What is the most likely topic to hit the bull’s eye? What topic can you make the most valuable for the readers? How can you make the topic you’re most knowledgeable in interesting for them? As long as you don’t cut too many corners, you should end up with pretty much the same idea regardless of which way you think of it. And you can try both ways to see if you come up with different ideas. In either case, you should look at the list of the most popular posts before you start writing. If you don’t find a list of them in the sidebar, go through the last 30-50 posts and see which ones have been shared and commented on the most. Read a few of the most popular ones and figure out why they were so well received. Maybe you find patterns you can copy. On some sites specific headlines work better than anything else; for example, “list” headlines can populate most of the “most popular posts” list (e.g., “51 Ways to Knit Socks”) while on other sites they’re nowhere to be seen. Or you might notice that a specific kind of beginning (the “hook” of the post) seems to make readers more interested than any other type. Don’t copy, but do mimic what has worked in the past. You’re not doing it just to make your post more likely to be popular—you’re also improving the chances of it getting accepted. The best way to get your posts accepted is to write a post that the site owner thinks will be a good fit for their audience. And if they see you’re doing things in a way that has worked in the past, they have a reason to believe in your post’s chances. Site owners will always publish your post if they believe their audience will love it and they don’t have any reason not to publish it. The most important thing is to make the post valuable. As valuable as you can possibly make it. That said, you don’t have to (and you usually shouldn’t) try to explain everything related to a topic. Instead, focus on solving one specific problem or enabling one specific result. Longwinded posts are a pain to read. Sure long, super-detailed posts can work well, but it’s usually better to narrow your focus and help the readers get a specific result or get started with something. And whatever you do, don’t use guest posts as ways to flex your keyword-stuffing muscles. You have no chance of ever getting to any high-quality site if your post is clearly written for Google bots. Also, don’t include links to your own site if they’re not highly relevant to the post and offer valuable additional information. Even relevant links might get deleted before publishing, but at least they won’t wreck your chances. Approach the site owner with an email proposing a topic or two you could write about. Tell them you don’t expect them to promise anything before they’ve seen the ready post. But be clear that you’d like to write a post for them to consider. If you’re sure you’ve picked a good topic for the site, you can attach the post to the first email. But then mention that you’re happy to write about something else as well. The point is to make it easy for the person you contact to say “yes” to you. Even if they don’t promise to publish your post, at least they promise consider it. And when you write a valuable post, more often than not, it gets through. All that said, the point of guest posting isn’t just to “write great blog posts, so you build your reputation.” At least that’s not all you can get from it. It can also be a very fast way to get traffic and grow your list significantly. Some readers will click through to your site just because your guest post was great. More specifically, they’re unlikely to do it unless you mention a relevant additional resource they can get from you. And because most people who write guest posts don’t do that, they get few, if any, subscribers from the guest posts they write. For example, if you write a guest post about dog training, you could mention (in your byline or sometimes within the post) your ebook that teaches more about dog training. If you mention an unrelated offer, people won’t be interested in it. Yet, that’s what many people do. And they’ve lost faith in guest blogging. Whether you mention your freebie (what people get when they join your list) in your post or in the byline at the end, be specific about why people should be interested in it. For example, “Johnny Boy is a writer who writes about writing at WritingJohnnyBoy.com and you can get his free ebook about writing” is not going to invite a lot of people to click through. You need to give people a clear reason to do it. For example, “Johnny Boy is a best-selling fiction writer. You can download his free ebook that shows how to make your book hook readers within the first two pages” gives people a very good reason to want the ebook. You don’t need to be clever with how you “sell” your offer if it’s clearly relevant for the readers; they’ll notice the value of your offer if you just point out the best reason they have for wanting it. Writing for your own site is rarely an effective way to grow your audience. If there are few people to read what you write, nothing will happen. When you have thousands of people on your list, things start to change. But until then, posts at your own blog are unlikely to create the results you’re after. But if you write a guest post for a big site, there will be a big crowd reading what you have to say. Sure, most of them won’t come to your site or join your email list. But many of them will do it if you’ve written a great post and made it natural for them to check you out. So, next time you think of writing a blog post, consider if it should be a guest post instead. If you’re writing posts to build an audience, a guest post will likely get you further than a dozen posts on your own site. If you have any questions or thoughts about guest posts, leave a comment below. Right now Peter Sandeen is dodging icebergs while sailing with his wife and dogs on the Finnish coast. But you can download his short ebook “7 Key Steps to Guest Blogging Success” that shows you how to get 100+ subscribers from every guest post you write. Presently I’m working on this guest blogging only, I have some little hopes that guest blogging might help me out to get some traffic without getting penalized by google animals. I am a month behind this and wish NaNoWriMo was to blame. Thanks for the great tips, Peter and Ana! Great post, you started a guide by implementing it (by also using this post as a guest post). i noticed guest blogging is always the first on the list on all tips on how to sky rocket a blog, been there and the result is really great. thanks for the heads up, I’m sure those not utilizing it will find this post helpful. I’ve also discovered that allowing others to guest post on your blog is also a great traffic strategy, for more developed and older blogs. Whoever created the guest post will obviously link to it from somewhere in his own site – so that’s a relevant backlink + free content your subscribers will enjoy + the traffic when someone clicks on the other guy’s blog to visit yours = new potential subscribers! I hope that made sense :). Another great post, Ana! Guest blogging has always been and will always remain the best way to generate traffic, build strong relationships and get quality backlinks. I personally love it because I has given be great results in the past and with this post, I am sure that many are gonna try it out too. Yeah, it’s quite likely that there’s no better traffic generation method for a lot of people. And I hope more people do it (as long as they provide real value ;-). People should not just see guest blogging as a means of achieving backlinks to their website. Fine, it can ‘be argued because virtually everybody doing guest posting is into it for the sake of getting targeted traffic/backlinks. In a guest post, one aim should be your main priority: ‘ and that is to help readers, it must be analytical, helpful and resourceful. Your guest post here is a great example of what you are talking about in action. Kudos. One of the biggest things guest posters need to worry about is the fact that so many blogs in the past year or two have become guest post spam havens. You touched on that with alluding to the owners accepting money. I contacted one recently that was kind of full of guest post spam and I posed as someone looking to “pay to play” just to see what was up and they shot back an e-mail with a dollar figure and a guaranteed acceptance. That’s definitely something to watch out for. There are a few that I posted on years ago that were not pay to play back then that are doing that now. Shame, really. But fortunately, it’s easy to spot those sites and stay away. 1. How do you know a site has thousands subscribers? Some of them will tell you. Should we believe it? Maybe it is just an educated guess. I suspect this is the truth in most cases. 2. Many people have lost faith in guest blogging. True. A lot of abuses were made. Having a big site is NOT a proof that site is really valuable in terms of content, usefulness etc. I have seen many big sites, I mean really big, that were filled with guest posts in 3-4 different niches. Even worse, many of those guest post written were junk. I mean, really junk. However, they were accepted. Why? An educated guess would be: the owner of the respective site accepted money for those guest posts. Surefire way to destroy your site on a long term. Because of these abuses many people have lost their faith in guest blogging. 3. I can see now, that guest blogging is not a science but an art. It is based on research, guessing and imitation. It cannot be done without mastering a niche and it certainly cannot be done in the first 5-6 months. It takes time to master a niche and create really valuable content inside that niche. Also, you need a mentor to teach you how to guest blog. However, I have seen many people that started guest blogging a few weeks after they launched they first site. Some of them are very successful. I wonder why? Talent? Rarely. Educated guess: they understood what the masses like and want. When I studied the content of those high successful guest bloggers, I found it was 90% generic content. So they somehow knew or (more likely) were told what people want to read. People want to read generic content. It is short, simple, sweet, to the point and full of magnetic titles and beautiful pictures. It attracts people instantly. However, at the end of the day, it doesn’t help you solve your problems. It doesn’t help you: get more subscribers, drive traffic, make money, be free. You are left empty handed. Bitter experience. That is way many bloggers that have huge success in the first 2-6 months die slowly later. They do not provide value, just entertainment. 4. “Writing for your own site is rarely an effective way to grow your audience.” Interesting and double edge thought. On the other hand the blogosphere is full of advice like: “Post more often. It will increase your audience.” It seems a contradiction in terms. What should we do? Post more often on our site or guest post more often? My opinion? You should create solid content for your site first, then start to guest post. When people read your excellent guest post, some of them will come to your site. There, they will expect to see quality content in many valuable posts. If they come and find only 20-30 posts with medium quality, your guest posting strategy will fail. Conclusion: Guest posting is an art. It takes time (years) to learn it. You need to master a niche, get experience and have a mentor that knows how to guest post. Otherwise the only thing you can hope is a short term success. Everybody wants short term success and this is the reason why there are very few real experts in this field and long lasting successes. 1. Usually it’s an educated guess, but you can look at how many comments and/or shares their posts get. That’s a pretty good indicator usually. 3. You’re right, it takes real understanding of your topic to be able to provide value. However, many people who just start a blog already have deep understanding of the topic, so they can easily write really valuable posts about it. But yeah, much of the popular content out there is very generic—copied in dozens of places. 4. You don’t actually need ANY content on your own site besides a landing page for some report etc. people can get when they subscribe. Sure, some people won’t take the offer and leave because there’s no other content on your site. But I’m pretty sure the most efficient strategy is to just write guest posts until you have a sizable audience. Then “posting more often” does increase your audience. Guest posting is one of the best ways to gain and keep traction in the blogosphere. It’s so versatile and you can kill several birds with one stone. Yep, it takes time, but the payoff can be very well worth the effort. Really attractive new design Ana. I am also making some updates to my site design. Your article is excellent advice for bloggers to study what other writers are doing in the particular niche that their site targets. I might as well remember every single day that I am in an online ‘classroom’ and it is important for me to keep learning and growing my site and my audience. The best way to build a powerful site is to keep learning and researching what has worked for others. Commenting a second time on this post. I did not take the fitness blog post because of the advice here not to post outside of your niche. But..! I was just recently asked to do my first-ever guest post withIN my niche. Yayy! Of course I came HERE to tune up. Anything you personally write, or that you host here on Traffic Generation Cafe is the gold standard in my book. SO I wanted to bone up on best practices before putting that post out there. I’ll be sure and let you know how it goes, results-wise. Thanks again for your bleeding-edge info on how to market and blog for traffic. Blessings! Kurt, if you want to shoot Ana a guest post you should think of how to doing a case study about traffic generation. Since it is tied to what Ana does or perhaps how sharing a particular idea doubled your traffic, or how you tweaked a particular headline to double your opt-in. Do this and Ana should accept your post. Have seen your article and they are brilliant. Loved the one on selling of cars-i.e how to leverage your authority to get paid for a non-existent product. For Marshall art being your passion, perhaps you could set up a fitness blog where you could blog once a week. Then the opportunity to guest post arises. Then may be you could promote your range of clothings. Awesome post ! I will hopefully be implementing the tips outlined in this post , I am yet to offer to guest post on any blog, but I guess even if your post gets rejected you can put it up on your own blog. Hey! Great write by Peter and thanks for sharing. Nowadays, too many people are trying to use guest posting for backlink. That shouldn’t be the case. Instead, use guest blogging to build reputation and and importantly, relationship with other bloggers that last. Nice share and thank you! Thanks for sharing this with us, these are really fantastic guest posting tips. I am very new to blogging and haven’t done any guest posting yet myself, but it’s definitely on my list of things to do. These tips will definitely help me in finding a site that is suitable for my posts. The next time I’m writing a post for my own site, I will consider if it could actually be a guest post instead. Let me know if you have any questions I can help with. Hi Peter, these are awesome tips on guest blogging and they are very helpful too…… Your blog gives great post dude……. Thanks for sharing. Thanks for sharing these tips. I’m actually trying to learn as much as I can before I get into guest blogging. I know that a lot of people say that it’s one of the best ways to get more exposure. Your tips will definitely help me when I do venture into my first guest post. Thanks for sharing these tips. I will spend more time trying to find the right blogs to post on. This alone could save me time and will make my effort worth it. Thanks for this informative guide. Getting featured on a popular blog is enough for surge of traffic and growth of subscribers list, provided that our guest post and our blog posts have useful content indeed. Nice post about guest blogging. I am new to blogging and only way to get a large reach right now is through guest blogging and your tips about selecting blog is great. However I have a problem, I have a post which is close to my heart but as my reader numbers are quite low I am thinking to put it as a guest post than in my own site, what do you suggest should I publish it on my own site or in a guest blog. That’s a tough call. The third option is to hold on to it until you have the audience for it on your own site. From the perspective of results, you should use it as a guest post (if you don’t hold on to it). I love your article so very much. You are right! When it comes to getting traffic, guest blogging is a great way to get it. I also loved the point that you made when you mentioned that writing for a blog that is bigger in terms of their traffic and also catering for their expertise. That point hit the nail on the head for me. Thanks for the tips and keep up the good work. Thanks for this helpful post bro, it came at the right time for me as I just launched my blog and I am busy wit guest blogging. I always thought everything that needed to be said about about guest blogging has already been said. But you did mention a few tricks that I did not read about anywhere else. Thanks bro! Been wondering where is the queen of website traffic hiding though? Haven’t heard from her in two weeks or so now! Hi Ana, reading through this post really sparked off something new in me, more deep passion to become creative in doing whatever i do. Your concept, your style are all born out of creativity. Coming to your blog is my daily delight and as a learner, i have been positively affected by you and your blog. I have recommended your blog to my friends, i am too sure they will be very happy to subscribe to your updates; on my part, i will always be here to support and promote your blog in every possible means. I deeply appreciate your influence on me to become more committed to to this industry, once again, thank you from my heart. remain blessed! Very kind of you, Emebu. Picking the right sites for guest blogging is good advice. I like your idea of scanning the last 30-50 posts to double check on popularity first. Great post and very timely. I have recently been invited to submit a guest post for a site that get a LOT of traffic, but I’m suffering from a major block. My site is not ready to receive the visitors I received and “catch them”. I don’t have an offer ready, haven’t yet figured out what it should be! I don’t want to put the effort into writing a great post for someone else and then fail to capitalize on it. Sorry, this is a very long overdue reply. So, you’ve probably already done something about your conundrum. ” Focus on solving one specific problem or enabling one specific result”. Thanks for the simple instruction. That’s what this kid will be shooting for. That, and of course mentioning a specific resource my host blog’s audience can come and get on my site if they liked the content I provided. I’ve yet to write my first guest blog post, Ana, though I’ve had a few offers. I’m a little stuck… I feel as though I have quality content to offer but I’m concerned about congruity. For example, you know Shoestring101 provides practical instruction about how to start a business based on one’s interests and hobbies. But since my OWN interest is martial arts I’ve had numerous offers to guest blog about fitness. That’s FINE, and I’m always happy to share, but I don’t know how well the fitness blog followers will convert to my how-to-start-a-biz blog.  I would love to guest post for Traffic Generation Cafe one day. But again, I question if the narrow subject of turning hobbies into businesses is a good match for the much broader subject of increasing traffic to websites. I would want to contribute as least as much as I take away, you know? So back to the fitness blog opps: if it’s outside of my niche and message (starting hobby-based businesses) but relates back to what I resonate with as a person… whaddya think? Should I take the offers and post on the fitness blogs, at least for the practice? I’ll take the time and research what gets hit the most, as you suggest, and what gets shares, comments and other engagement. Curious on your take on this Ana. Side note: my traffic has increased EVEN MORE than the 89% I reported at 28 days, thanks to your 10-point checklist, only a portion of which I’ve been able to faithfully follow so far. Thanks a million! And thanks for this post on guest blogging, which is the next big thing I’m looking into. I can’t say I have done many guest blogs either. It’s actually for a similar reason. Many of the people I interact with and the blogs I follow aren’t my target audience. Having said that, knowing your own business and having a clear value proposition is also extremely important when considering what sites to do guest posts on. Iain, I would be happy to have you guest blog if you’re into it. I think the Market Your Farm thoughts will resonate with Shoestring101 people because we’re both about taking something ordinary… to MOST… and making it EXTRAordinary for the people we touch. Turning a passion into a livelihood. I’ve come to enjoy your writing style and know from your participation on my blog that I can count on a great level and style of engagement in the comments as well. If you’re into it, hit me on Twitter or email and we’ll figure out a subject and date! Wow, great tips on guest blogging! I’m relatively new to blogging but guest blogging is something I definitely want to give a go some day. It seems like a good strategy to expose your writing and style to readers of similar blogs. Glad you pointed out that about style. Makes sense! I like a little comedy/entertainment mixed in with my financial writing, so I should pick a blog with the same tongue in cheek style to guest write on.